Ahhh the Bellamy Mansion. What a wonderful slice of paradise in the middle of bustling downtown Wilmington. 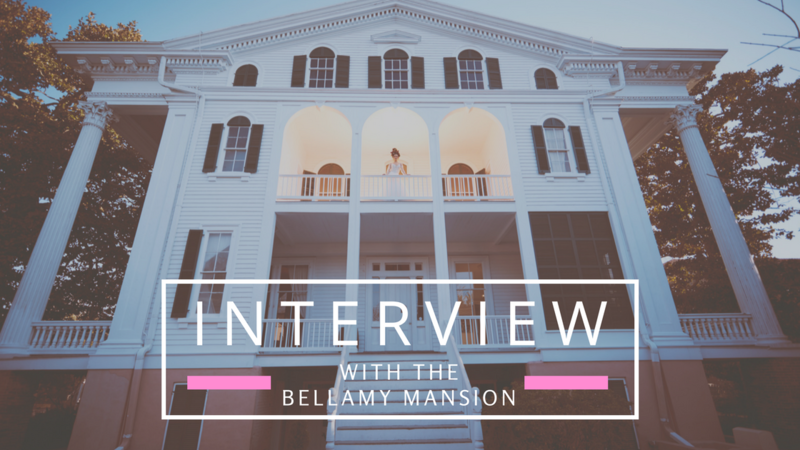 We’re continuing the wedding vendor interview series with a sit-down with lead event coordinator at the Bellamy, Laural Coffey. Laural helped me design a super-edgy bridal shoot at the mansion this Spring. You can see the photos from that session here. I was able to take the amazing surroundings in the beautiful gardens and apply a modern twist. The results were simply stunning. After the shoot, Laural agreed to an interview to let the world know what makes the Bellamy Mansion so special for weddings. Check out what she has to say, and what sets her venue apart from the other downtown wedding halls. MA: How was Bellamy Mansion discovered? Laural: It was built between 1859 and 1861 by a wealthy family in North Carolina, though wasn’t utilized as a venue for weddings until the 20th century. MA: What was the inspiration behind turning the historical museum into a venue for weddings? Laural: It has beautiful southern charm, there’s tons of space, and the Bellamy mansion is a bit different from most venues, in that we are a non-profit organization. So by having weddings here it increases revenue for the museum! MA: Are all parts of the museum open to the public during weddings? Laural: Other than the top level wedding guests have access to the entire mansion! MA: What is the biggest crowd pleaser? Laural: I’d have to say the most charming part of the mansion as a venue would have to be our lush gardens and lawn. That’s one thing we have over other venues in downtown Wilmington. We have garden space that includes flowers and magnolia trees that are over 100 years old! MA: How many weddings do you book in a year? MA: What is the busiest time of year for weddings? Laural: Spring and Fall for sure! Laural: Seeing happy clients at the end of the day that are thrilled with the venue’s versatility. MA: What is the biggest lesson you’ve learned while working in this industry? Laural: You have to be very adaptable. Always have a contingency plan! Whether its family issues, weather concerns, you should always have a plan B and be ready to adapt. MA: What is that makes you different from other event coordinators? Laural: I don’t have a set way that I envision a wedding. I take all of my unique clients’ hopes, desires, and wishes into consideration and try my best to make that happen. MA: If your job did not exist, what would you do as a career instead? Laural: I would be a park ranger! Something outdoors for sure. I love forests, whitewater rafting, and the mountains.